Our guide will pick you up from your hotel for transfer by bus to the Km. 82 (Chilka), on the way, we will stop in the town of Urubamba (01 hour from Cuzco) to have breakfast and then continue by bus to Chilca (82 km.). From here, we start trekking (5 hours) on the Inca Trail to Machu Picchu, for approximately 1 and 1/2 hours. Then we stop for lunch. After that, we continue the trek to the archaeological complex of Llaqtapata, continue walking to the first campsite in Wayllabamba (2960 masl). Dinner and overnight. After breakfast, we start the most hard and difficult part of our trekking (9 hours), with a steep climb up of 3 hours walking until reaching the first PASO called Warmiwañuska (Dead Woman), at 4,200 masl. Here not only. we will enjoy panoramic views of the entire area, but also have the satisfaction of having reached the top. After lunch, descend to 3600 masl to Pacaymayo. Dinner and second night camping. After breakfast, we start the trek (7 hours) with the descent and ascent to the second most important PASO of the trail at 3,800 masl. 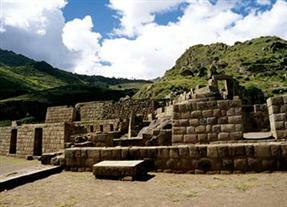 We will enjoy a guided tour to the Runku Rakay archaeological site and the Inca citadel of Sayacmarca. Continue your walk to Phuyo Patamarka (village in the clouds), another important archaeological monument, where you will stop for lunch. After a brief rest, we will start again walking to Wiñaywayna (Forever Young), 2650 masl, for a guided tour in a spectacular archaeological complex. Dinner and last night of camping. After early breakfast, trek for 01 hour through the forest to reach Intipunku (Sun Gate), the main gateway to Machu Picchu Archaeological Park, which has a breathtaking view of the citadel. On arrival (at 08.00 approx.) 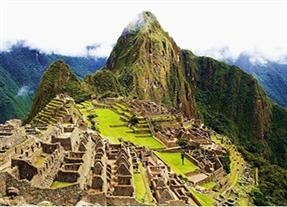 to Machu Picchu (2400 masl). We will have a guided tour of 2 hours. It is impressive for the visitor to contemplate the wonderful charm and achievement of the prehispanic architects, having built this citadel of stone between peaks and chasms. Then we have free time to take pictures, energy, etc. 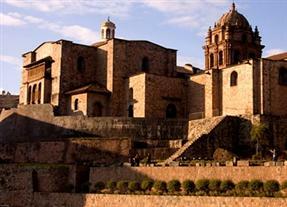 In the evening, 18:10 We will take the train back to Cusco (3 hours trip). 04 nights accommodation in Tambopata with full board included.